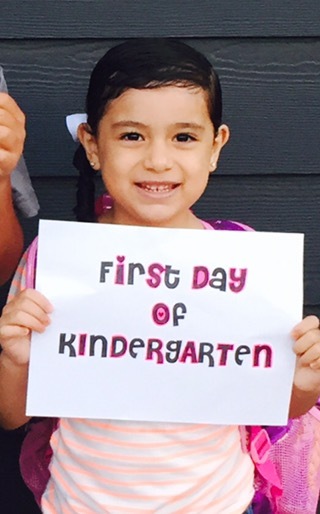 It has truly been a struggle, last year she wore tight pony tails, every day because her hair was just too crazy to wear it any other way. Not only was it time consuming in the morning, but her little scalp started getting itchy from all the gel I was using. 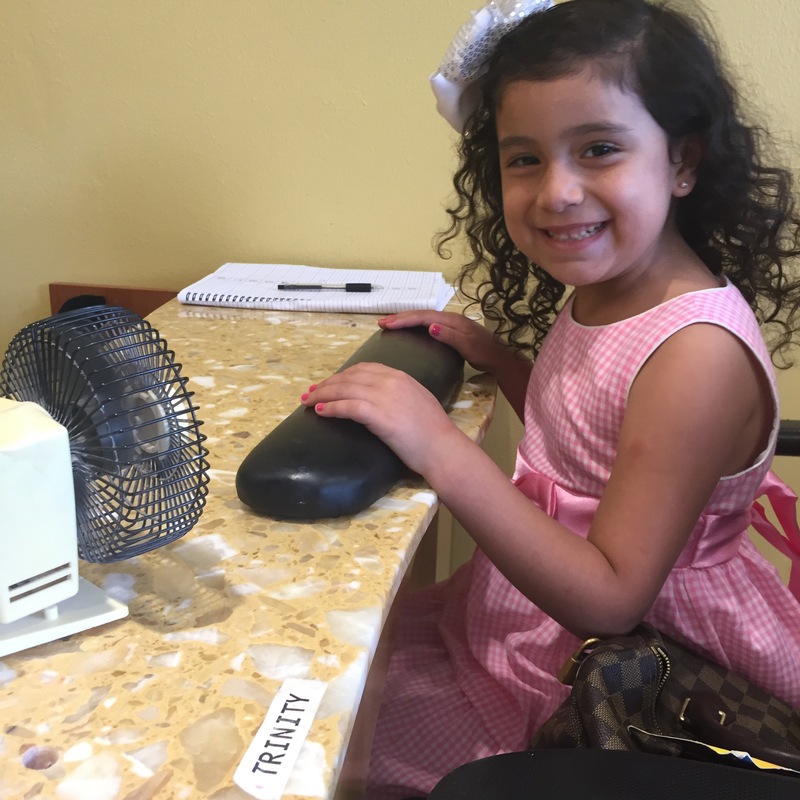 She even ended up at the nurses office a few times and I got that super scary your child might have lice call, only for the nurse to not find any bugs on her hair but to completely mess up her hair for the rest of the day. So when I was asked to try SoCozy, I was so excited! Could this be the end of my little princess hair woes? SoCozy is this awesome line of salon formulas for the unique hair needs of kids between the ages of 2 and 12 years old. SoCozy products are non-toxic and made without parabens, formaldehyde, sulfates, phthalates, synthetic color, propylene glycol. Free of alcohol, gluten, wheat, peanuts and tree nuts. I could not believe how great her hair looked! The bouncy, soft curls I’ve always wanted, with a lovely scent and zero guilt! 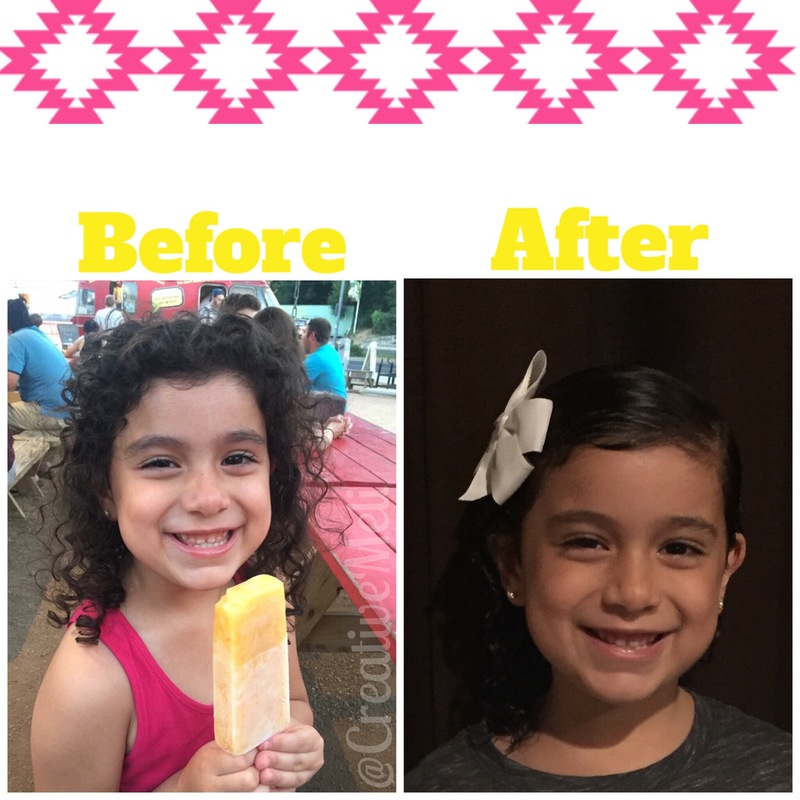 She’s loving wearing her hair down and can’t wait to start school without crunchy hair ever again! And right now you are in luck! HEB has a super HOT deal! 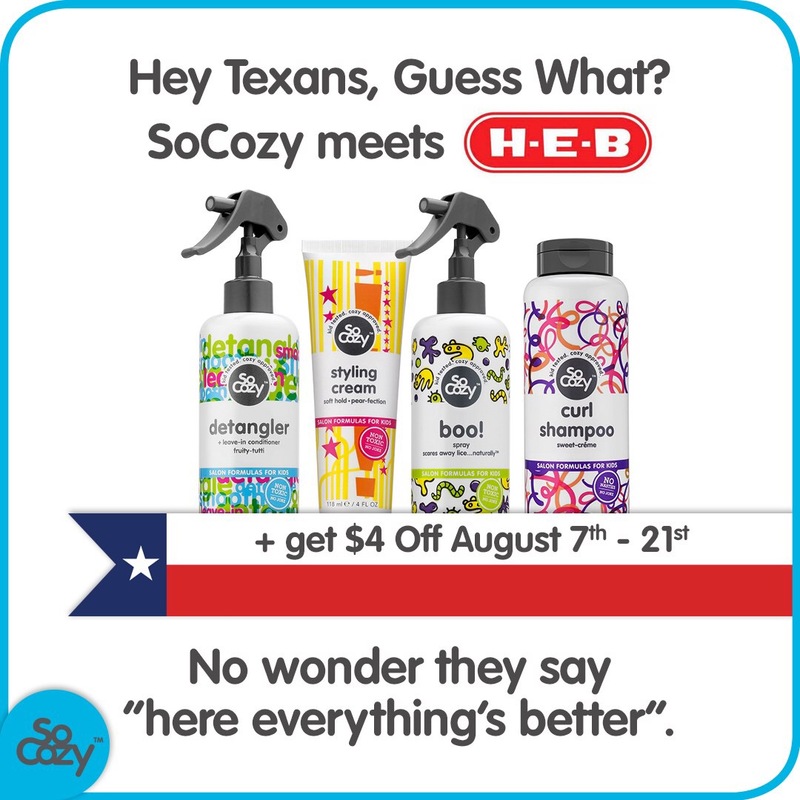 Get $4 off any SoCozy products with in store coupon! This awesome HOT HEB promotion runs from August 7th to August 21st, so make sure you don’t miss out! This entry was posted in Reviews by Melissa. Bookmark the permalink.